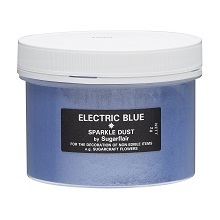 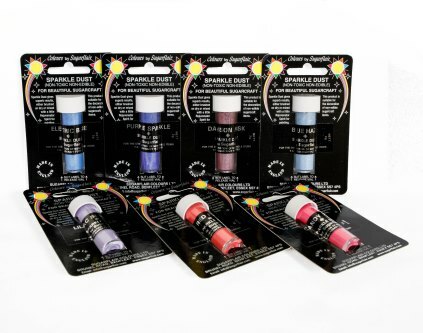 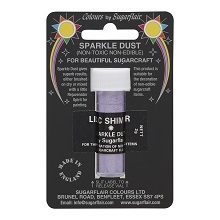 This exciting range of shimmery effect powders come in a beautiful range of vibrant pinks, purples and blues. 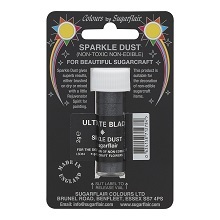 Use these colours to enhance your sugarcraft creations by either dusting onto the icing surface or mixing with a little Rejuvenator Spirit to paint. Please be aware that due to the use of E127 Erythrosine these products are classed as non-edible non-toxic. Colours: Candy Pink, Calypso Coral, Red Fizz, Raspberry Crush, Blue Haze, Electric Blue, Violet Sheen, Purple Sparkle, Lilac Shimmer, Damson Dusk, Ultimate Black, Ultimate White, Ultimate Silver, Ultimate Gold.